What are the leading causes of personal insolvencies? The answer is as diverse as the individuals that live in our country. Insolvency occurs when an individual or business is unable to pay back their debts or meet financial obligations with lenders when debts become due. Keep in mind that there is a distinct difference between insolvency and bankruptcy. Insolvency is the condition of being unable to pay debts. Alternatively, bankruptcy is the actual act of filing for bankruptcy protection with the US Bankruptcy Courts. Insolvency doesn’t necessarily mean that an individual must call on a Houston Bankruptcy to file for Chapter 7 or Chapter 13; however, some debt relief is typically called for in order to resolve the insolvency. The causes of personal insolvency are diverse, but in researching millions of Texas bankruptcy cases, the picture becomes clear that there are some common causes of personal insolvency, some voluntary and others not. Illness and injuries are a natural part of life and ones that can have devastating financial implications. A lengthy hospital stay or expensive medication not covered by insurance can lead to medical bills stacking up. Medical debt has long been a primary precursor to bankruptcy. This is most likely because medical debt is almost always unsecured and thus bankruptcy is typically the best way to eliminate these debts. Whether you are an entrepreneur or work at a company, we all rely on our careers to make a living, provide for ourselves and loved ones, and pay our bills. When you unexpectedly lose your job or your income suffers a decrease, the majority of individuals turn towards savings or selling their property to keep up with the bills. Once savings are depleted, this unfortunate situation can turn into a severe issue. Anyone that has been through a divorce or know someone who has, knows that the legal costs surrounding divorce seem insurmountable. This, coupled with the harsh reality of relying on one income when you were accustomed to living on two can be a formidable financial challenge. Additionally, if you are a co-signer for any joint accounts or loans, you’ll be on the hook for a portion of this debt as well. Credit Card Debt in America is reaching all-time highs and continues to grow. Additionally, credit card debt is one of the leading causes of bankruptcy and insolvency alike. Adverse legal action, or being sued, is a significant cause of insolvency as well. You may have heard on the news about celebrities being sued for large amounts of damages and subsequently filing bankruptcy as a result. Lawsuits that result in damages to be paid can cause an enormous financial shortfall. The primary take away from this article should be that these types of issues can happen to anyone at any time. 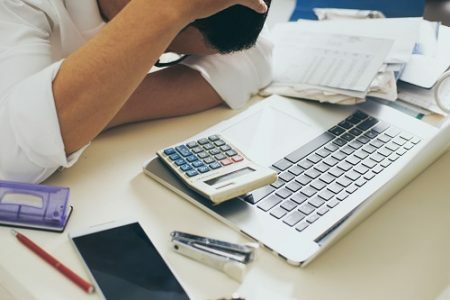 The best way to protect yourself from becoming insolvent due to any of these leading causes of personal insolvencies is to have a sufficient health and liability insurance to create a buffer between yourself and medical bills or lawsuits. Additionally, keep a close eye on your credit and credit reports to know exactly where you stand when it comes to your credit usage and debt. Contact a Hidalgo County bankruptcy attorney if you are struggling with insolvency from any of the issues mentioned above. You may be able to use a Texas bankruptcy to wipe out unsecured debt and give yourself time to catch up on missed secured interest payments.